A midcentury bar is more than stylish for entertaining today. 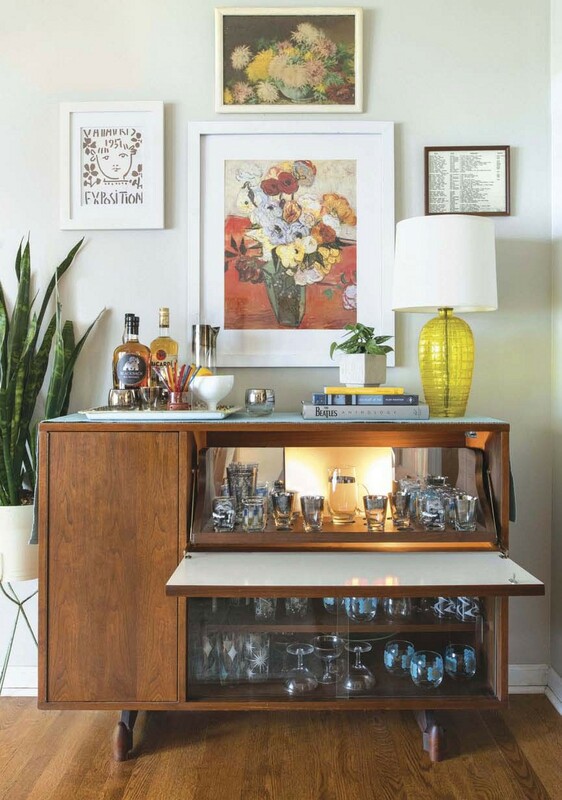 A SWANKY TOUCH IS ADDED TO THE DINING ROOM OF CHRISTINA GERSTNER, of The White Pepper Vintage (@thewhitepeppervintage), with this 1950s bar. She found it at an estate sale and says, “I believe the owner originally purchased it in Germany during the war and had it shipped back to the United States. The inside lights up when it’s open, but since we never have cocktail parties, I have failed to impress anyone with this feature.” Well, we’re impressed.